Welcome to our CABLE WAKEPARK ! Cable Wakepark (or water ski cableway) is a facility allowing the practice of waterskiing and wakeboarding on a water surface. In this case, riders, instead of by a motorboat, are towed by a cable system powered by electricity – just like in a winter ski lift. The invention of water ski cableway dates to the 60s, thanks to an idea by Bruno Rixen, founder of a German company that installs winter ski lifts worldwide. 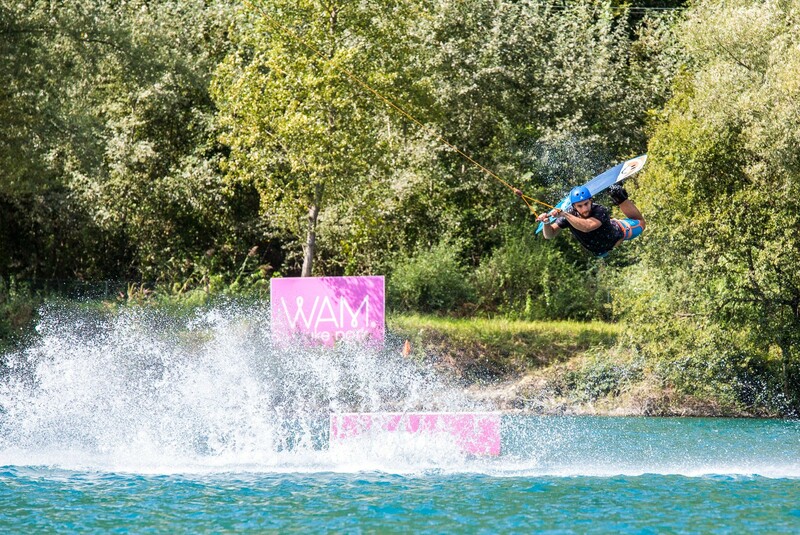 In France, this sport is booming with thirty existing structures; sixty wakeparks already exist in Germany. Cheapness: you can use the structure for an hour, having at your disposal all the equipment needed for both sport practice (kneeboard, cableway, wakeboard and wakeskate) and safety (life jacket, protective helmet and neoprene suit), as well as trainer attendance. (Please see table of prices). Ecology: water ski cableway – powered by an electric motor – avoids both CO2 emissions and noise! Accessibility to everyone: all available equipment allows practice starting from 7 years and does not require any particular experience. For instance, kneeboard allows you to run the first laps on your knees easily and pleasantly – children prefer this way of running! Water ski cableway and wakeboard – the latter used like a snowboard – will be the next step for you. Suggestions from trainers will allow you to both progress quickly and try different modules, installed along the cable. You may also exercise with the wakeskate – used as wakeboard but with free feet – or with wakeski – a freestyle way of skiing. ALL equipmant for skiing (except the wakeboard pro) is on loan at the base. 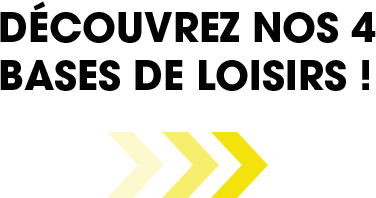 Cable wakepark is open from mid-April to early November (please see the schedule). Everything is in a splendid framework and a quiet and friendly environment.